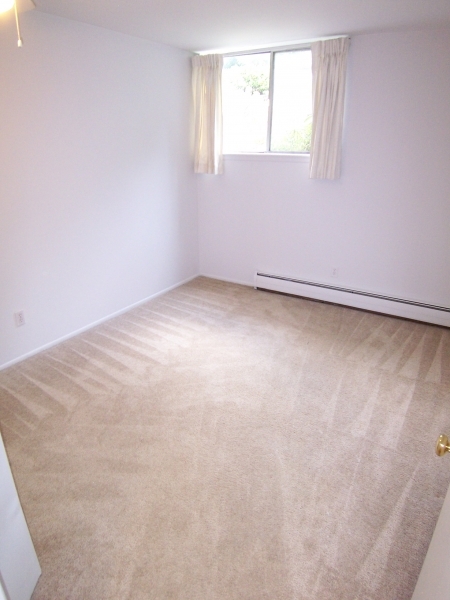 All one bedrooms are 650 square foot with carpeting in living, dinning, hall, and bedroom area, with ceramics floors in kitchen and bathroom. 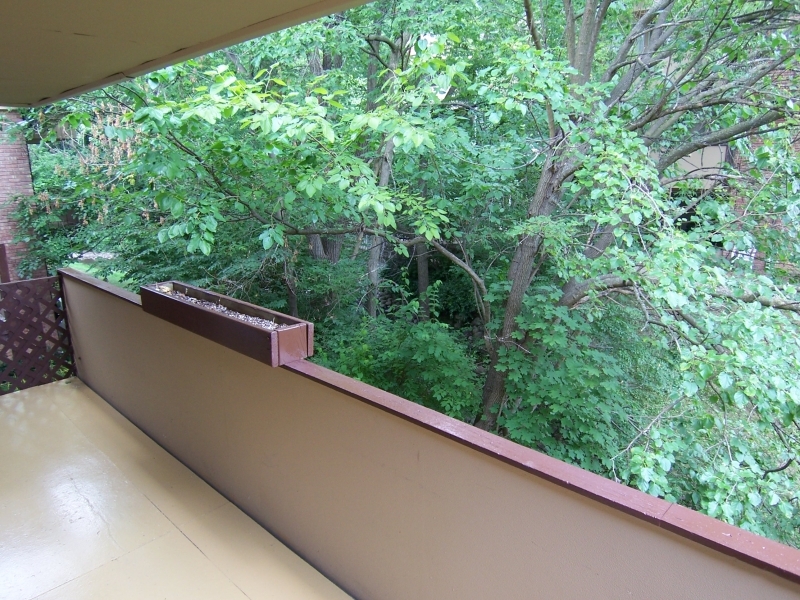 Upper level apartments will have a balcony and very large window in bedroom. 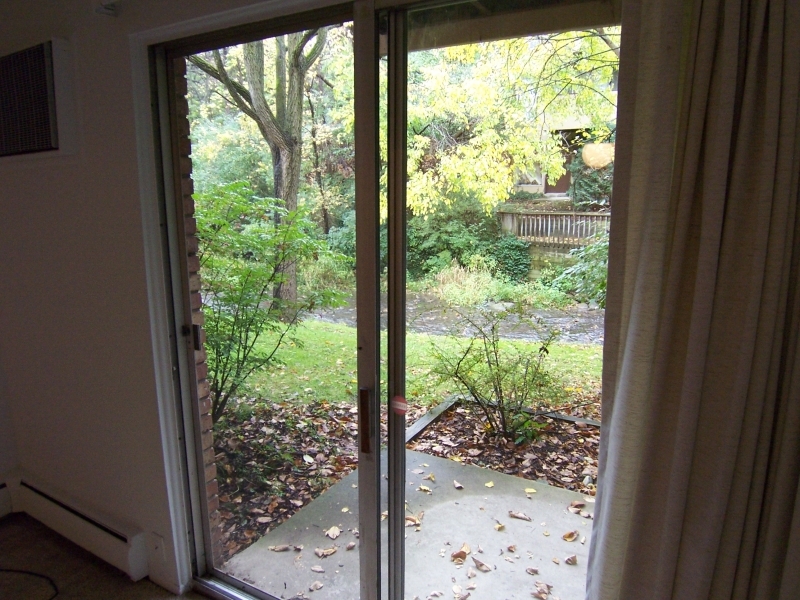 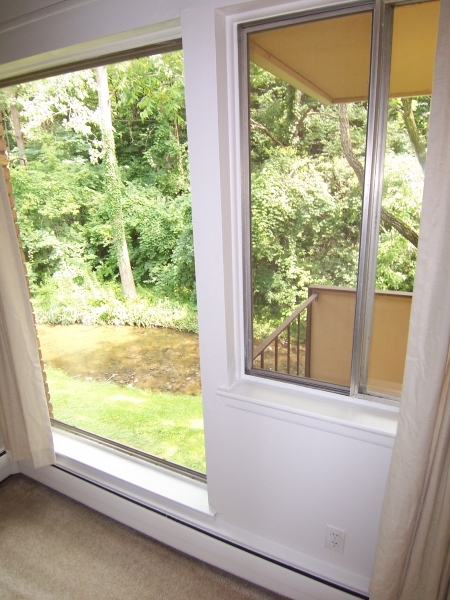 Lower level apartment will have a walk-out patio and regular size window in bedroom. 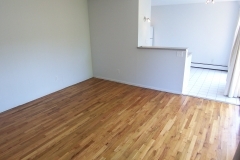 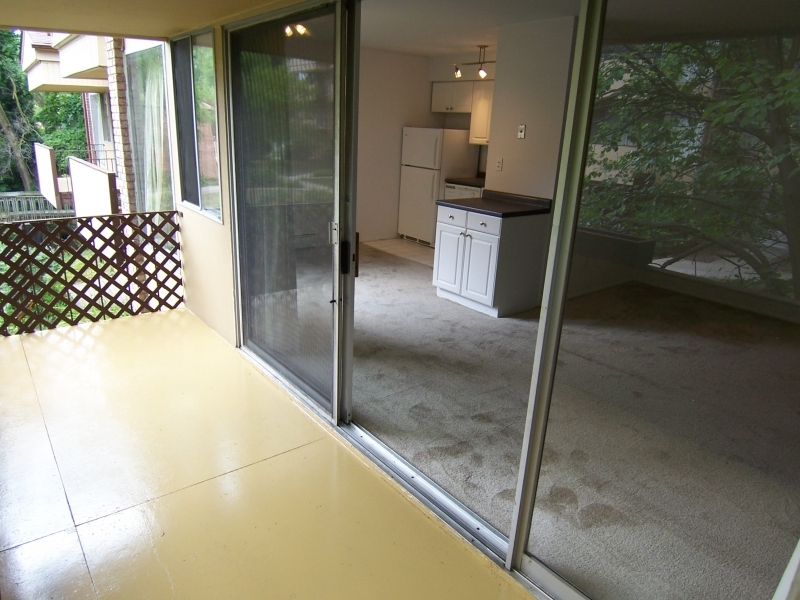 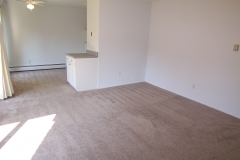 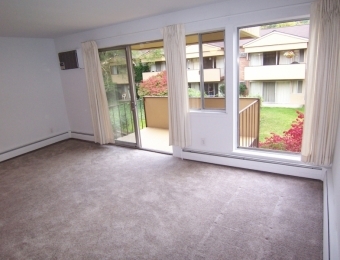 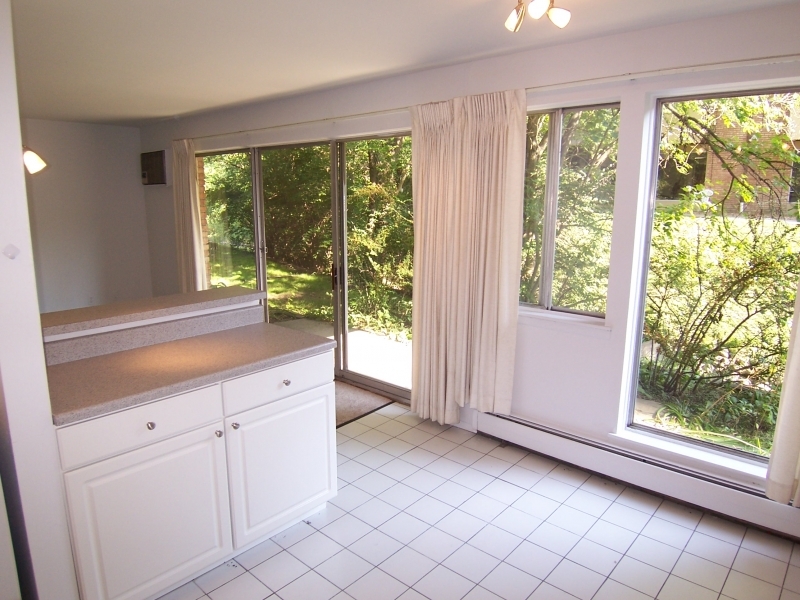 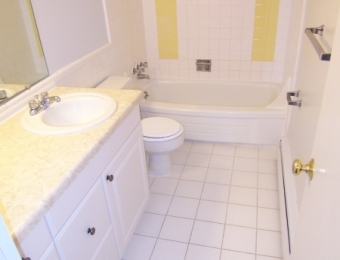 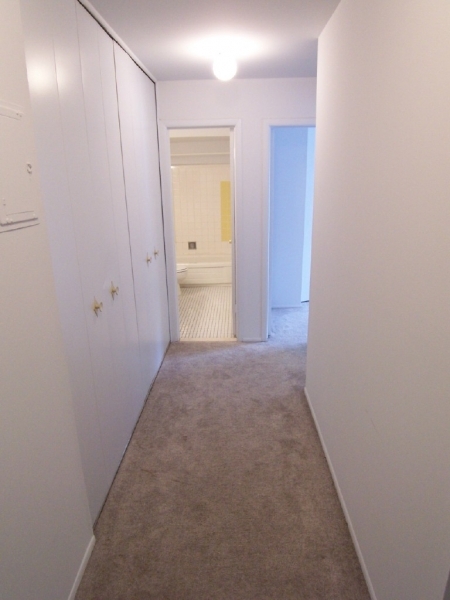 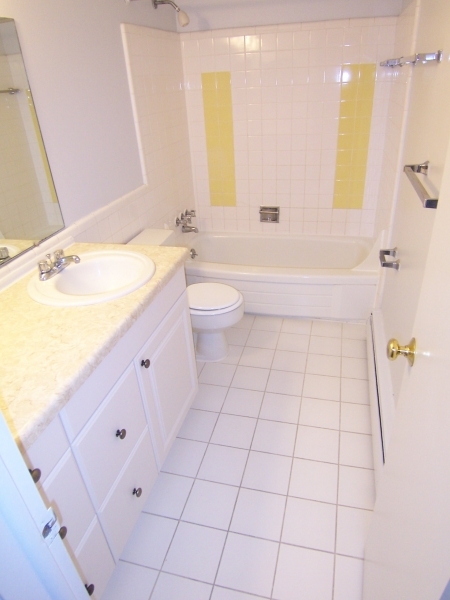 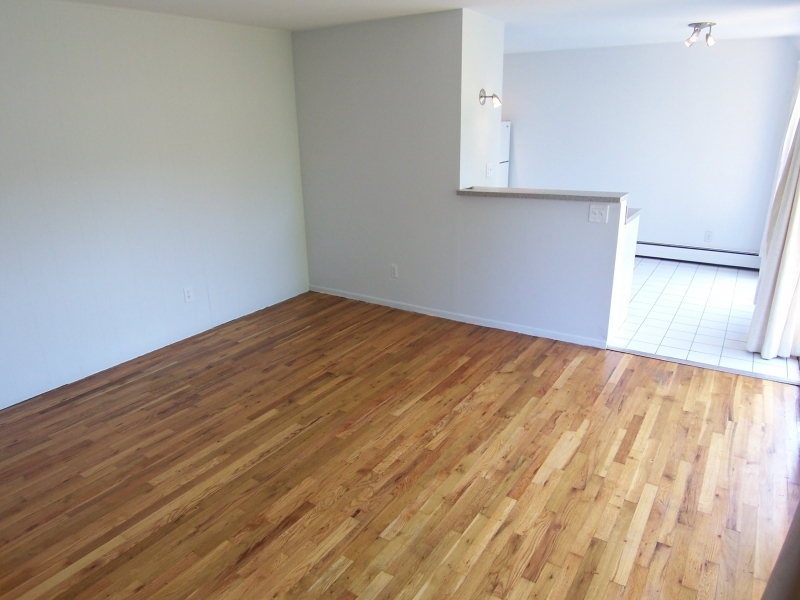 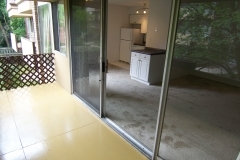 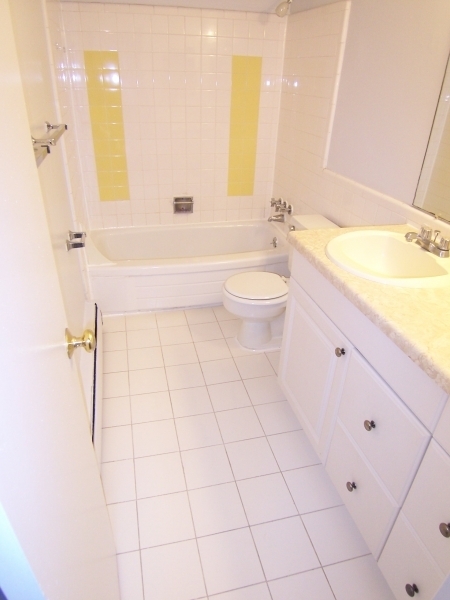 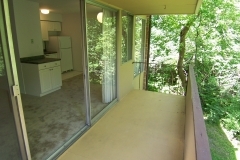 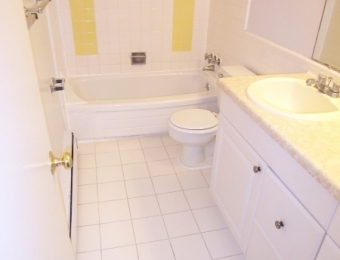 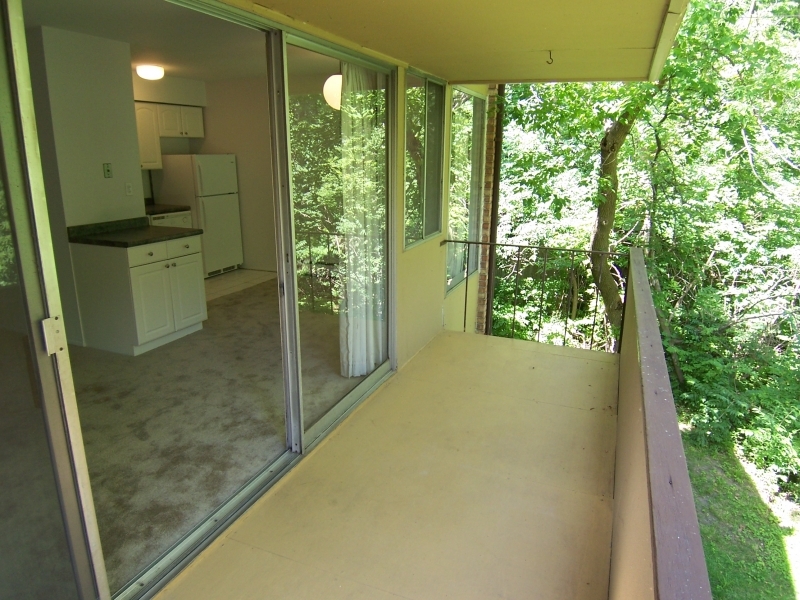 All two bedrooms are 850 Sq. 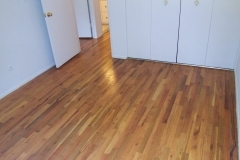 Ft. with the exception of 5 at 836 Sq. 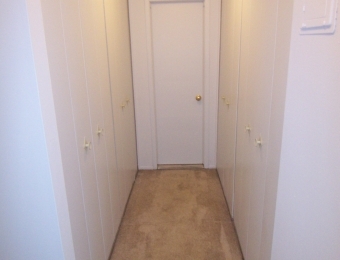 Ft. which are 14 Sq. 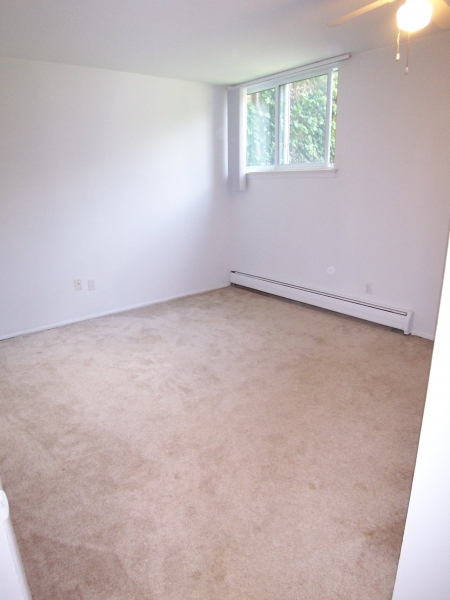 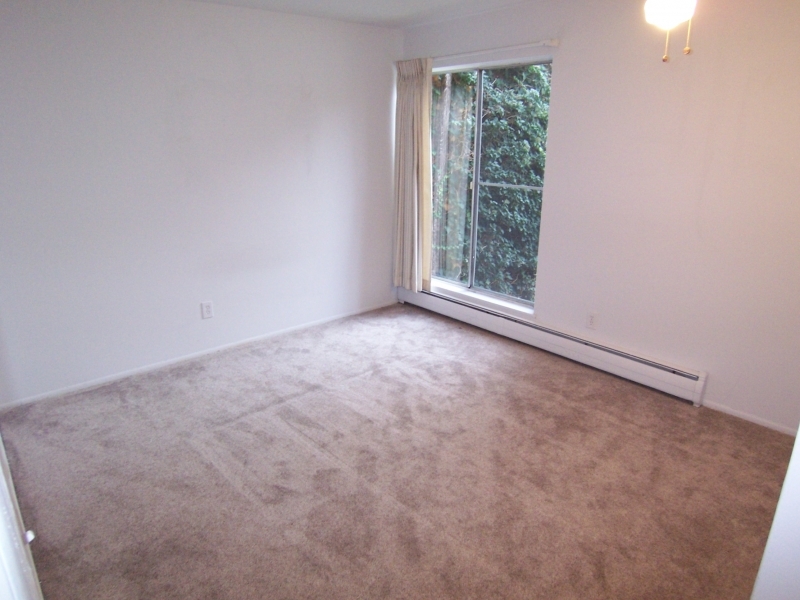 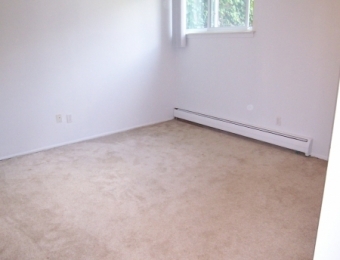 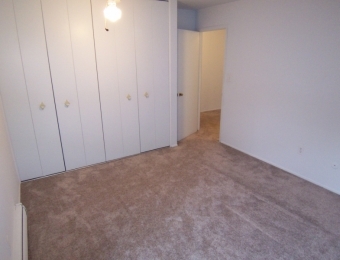 Ft. less in the large bedroom. 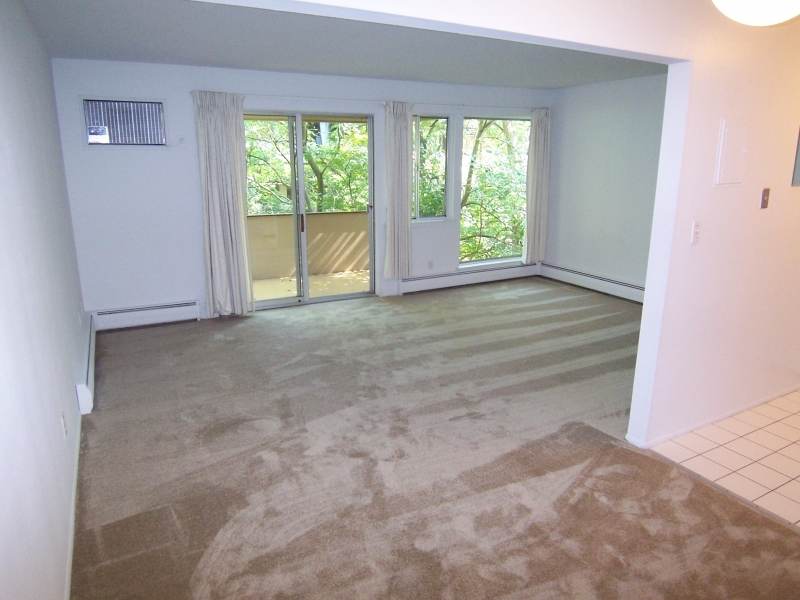 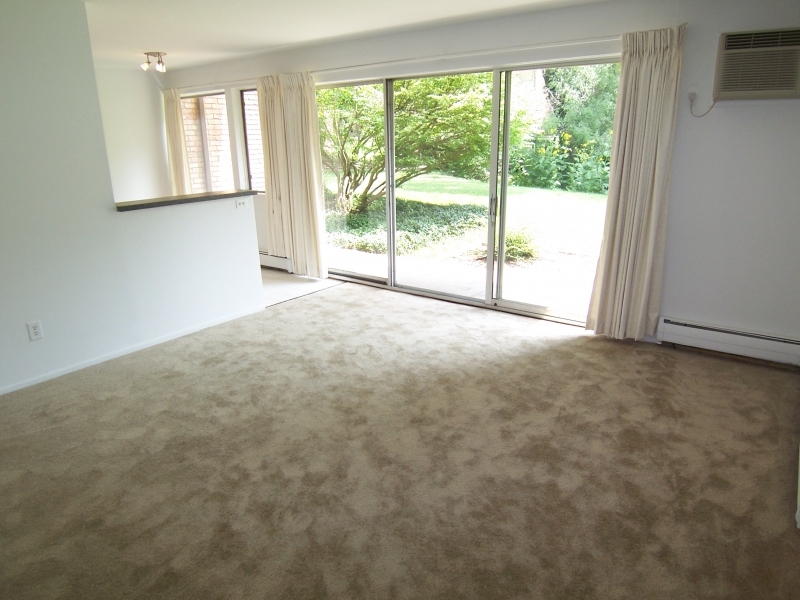 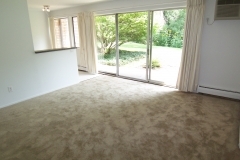 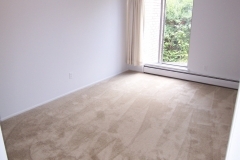 All will have carpeting in living, dining, hall, and bedroom areas with the exception of 4 apartments that have hardwood floors in said areas. 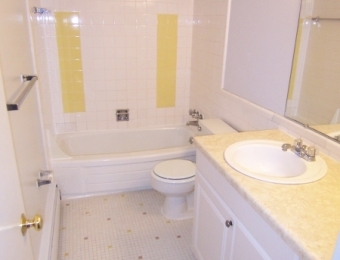 All will have ceramic floors in the kitchen and bathroom. Upper level apartments will have a balcony and a very large window in the bedrooms. 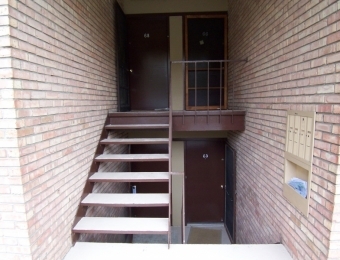 Lower level apartments will have a walk-out patio and a regular size window in bedrooms. 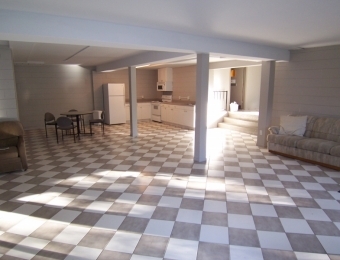 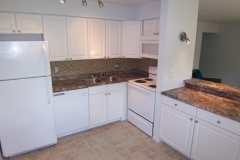 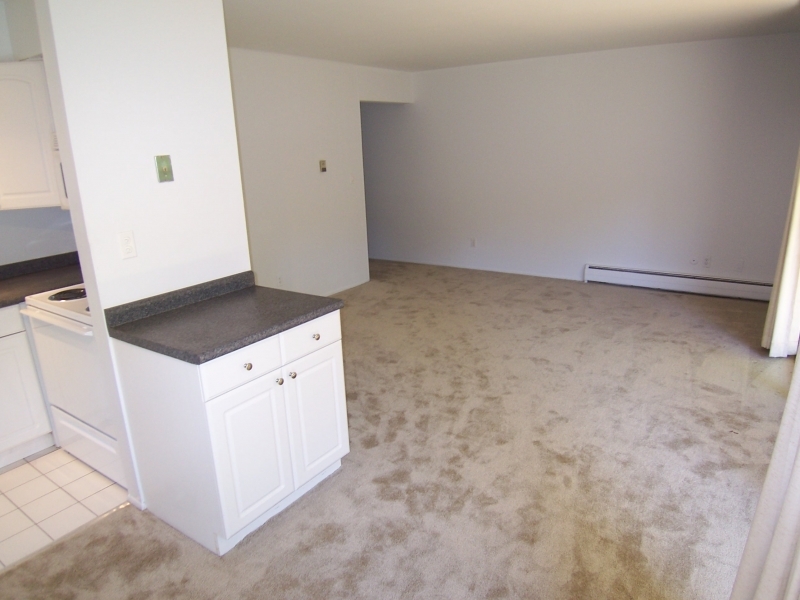 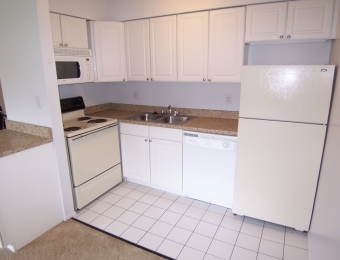 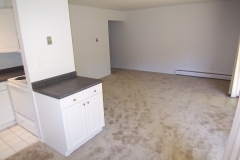 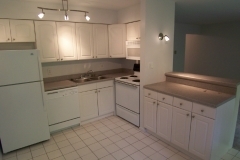 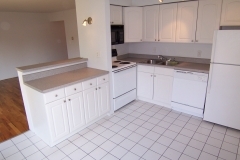 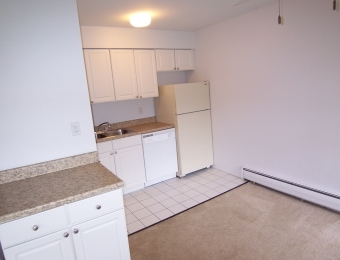 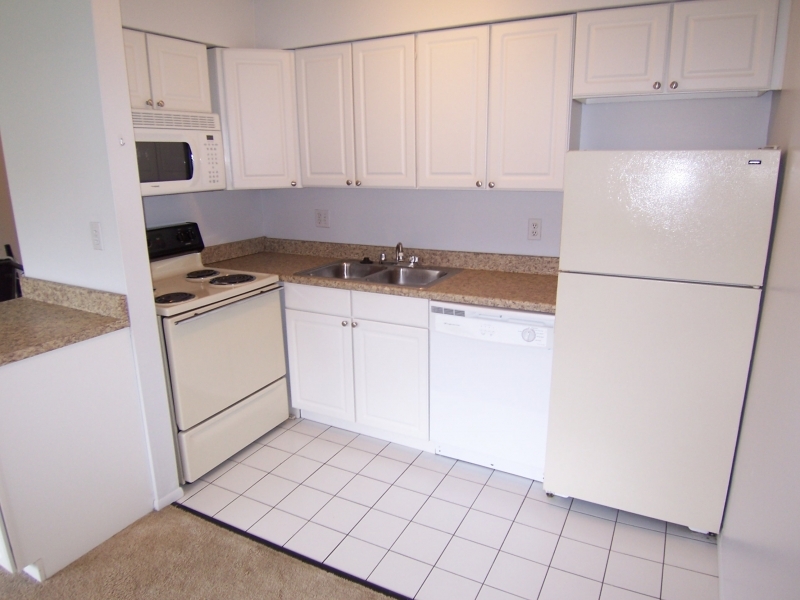 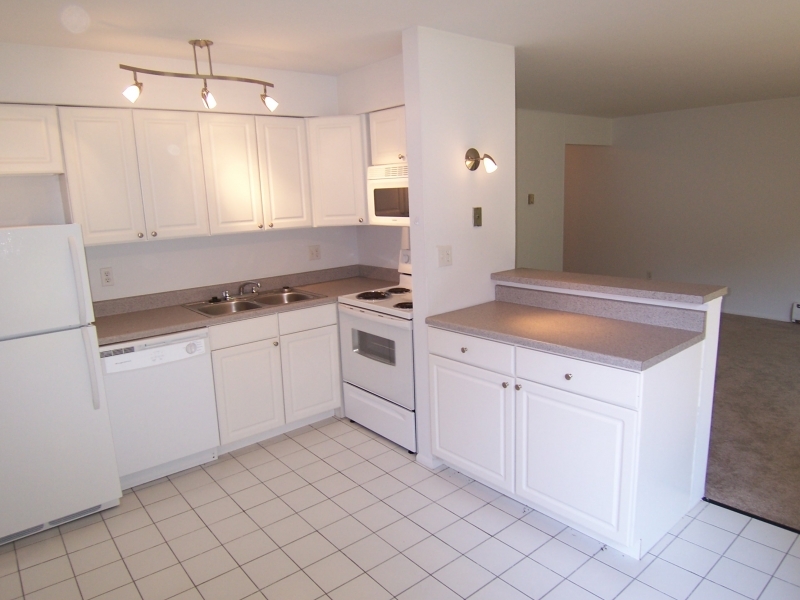 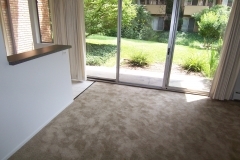 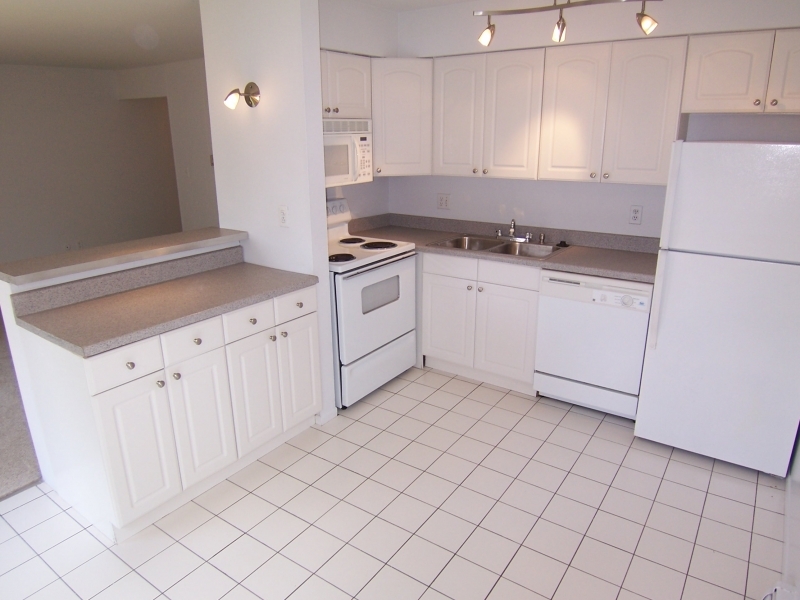 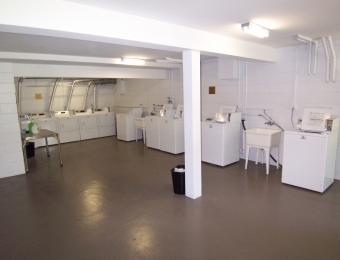 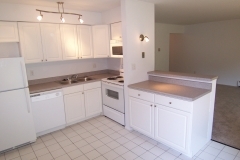 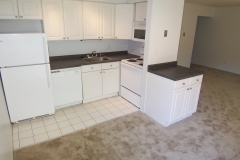 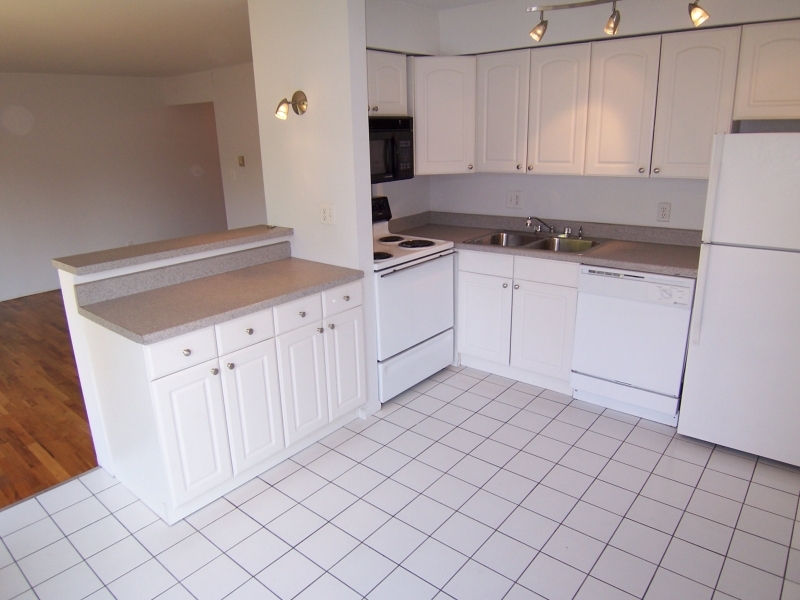 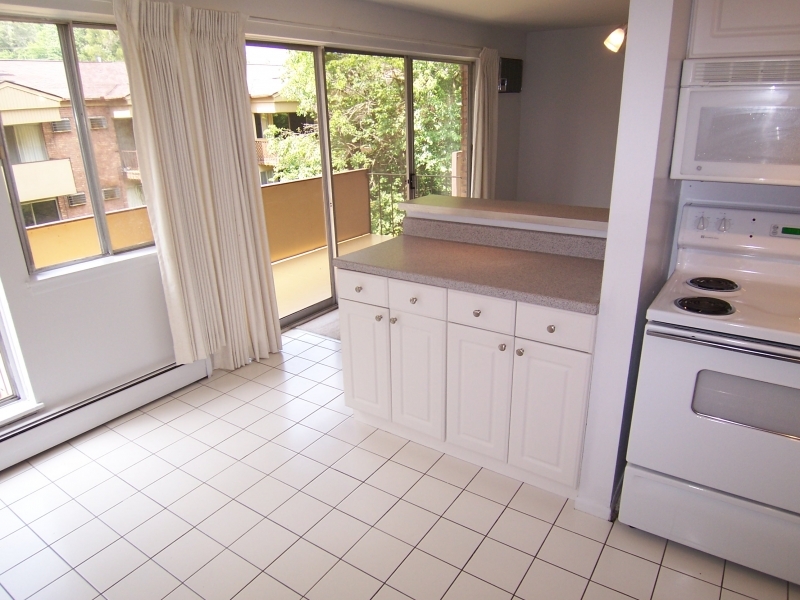 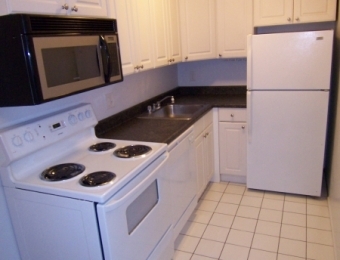 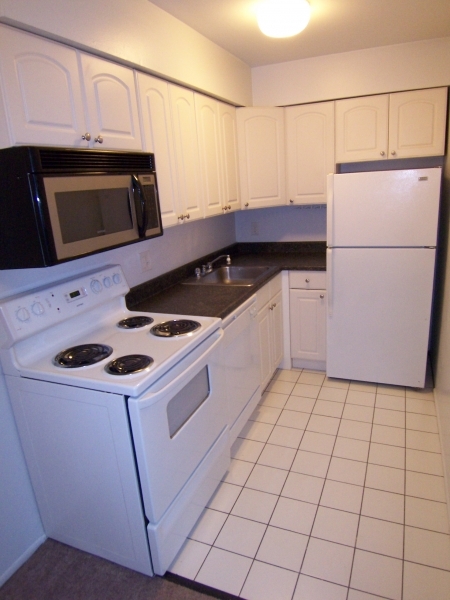 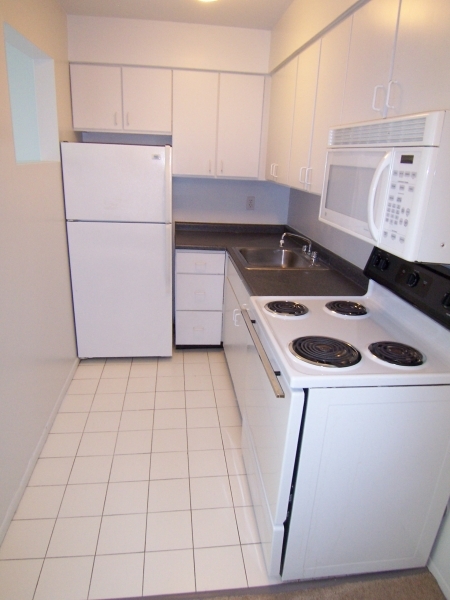 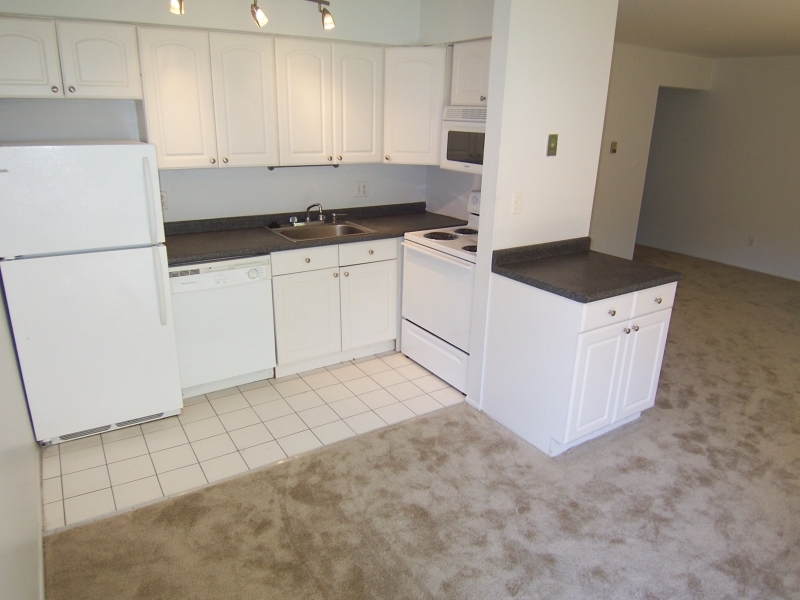 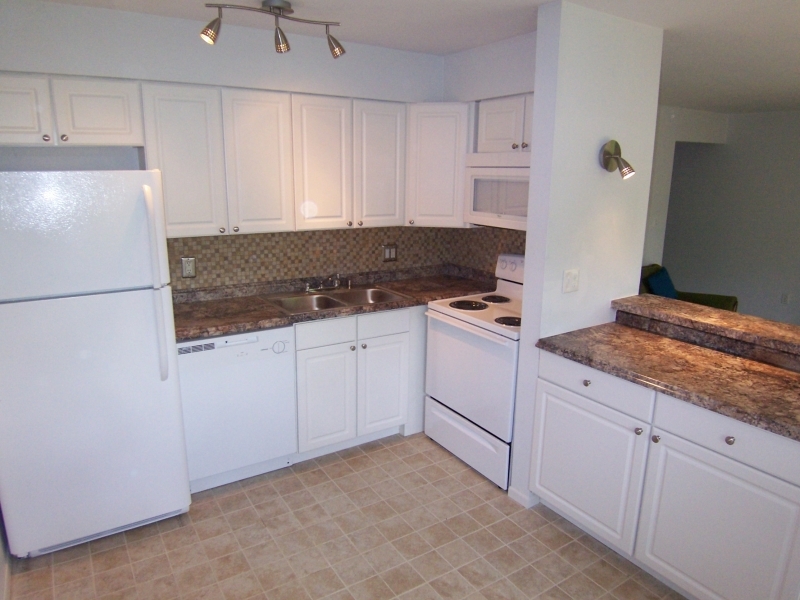 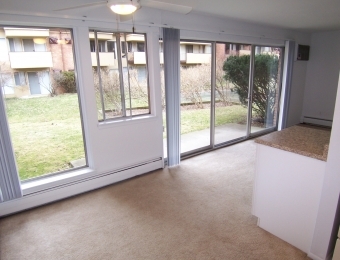 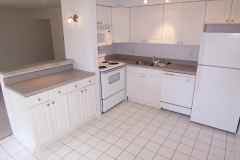 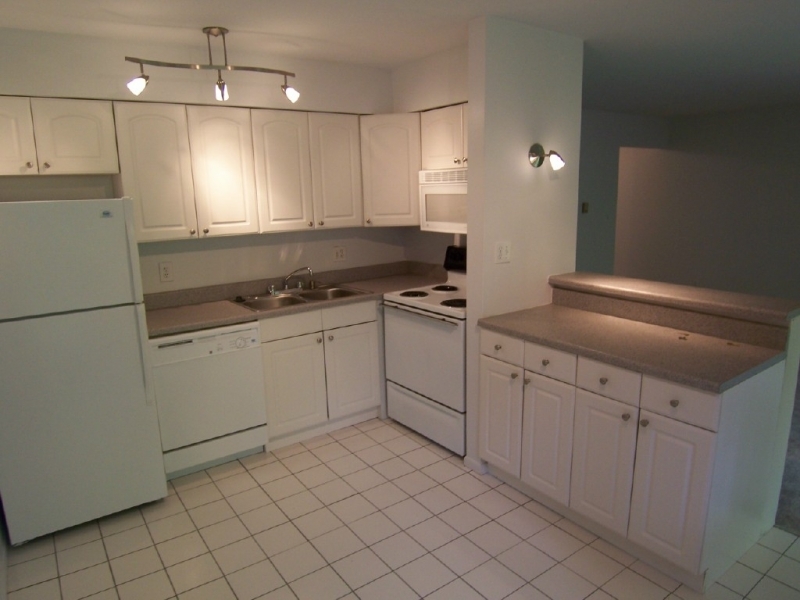 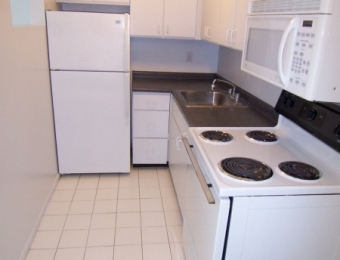 Our 2 bedroom apartments have two kitchen designs (half & half throughout the complex). 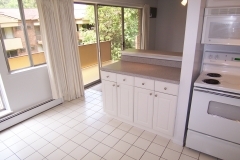 First design is called kitchen/dining room combo; tile floor extends into dining room, 4 ft. of lower cabinetry with split-level counter top along a half wall divide living room and kitchen. 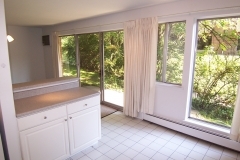 Second design is called the living/dining room combo; There is only 2 ft. of lower cabinet along wall between dining room and living room (half wall gone) with carpet extending into the dining room instead of ceramic tile extending into the dining room from the kitchen, as a result, it opens the dining room up to the living room, providing more dining area for a larger table (equal sq. 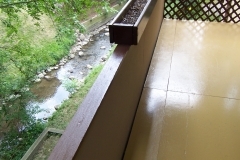 ft. and price). 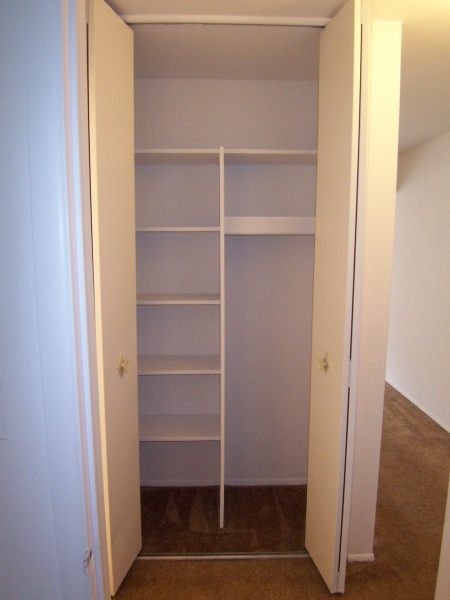 There are only three efficiency/studio apartments which are 590 sq. 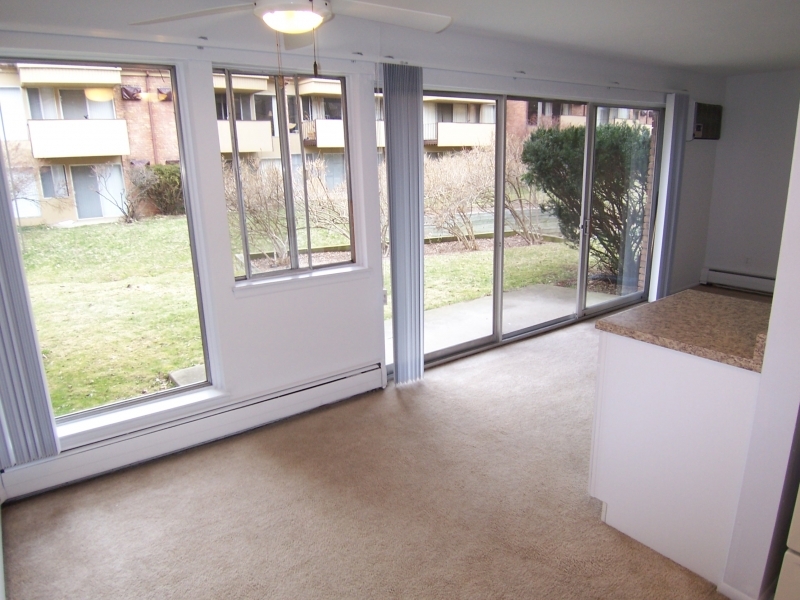 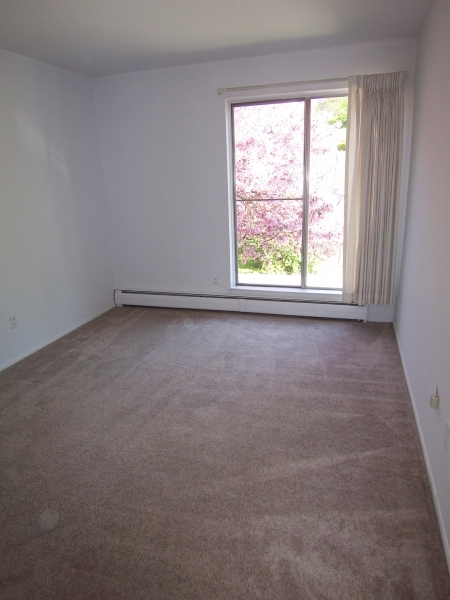 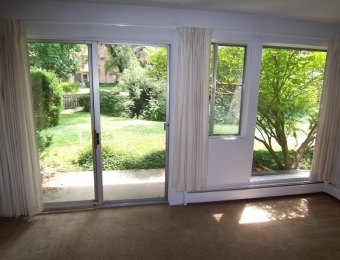 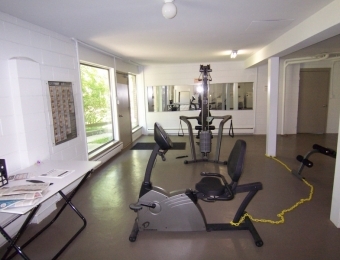 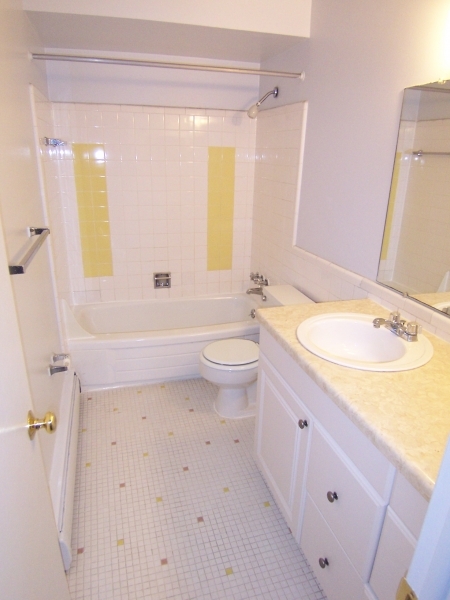 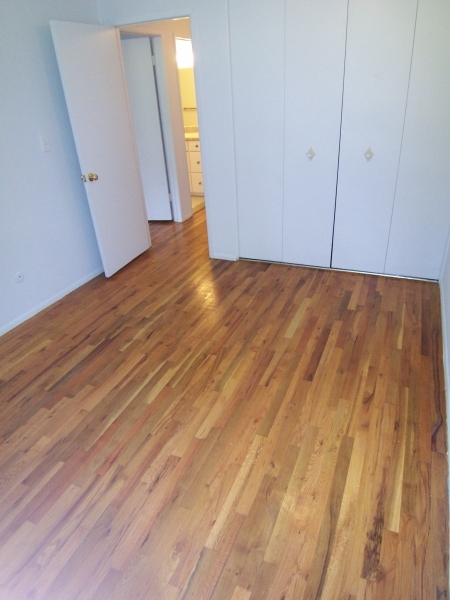 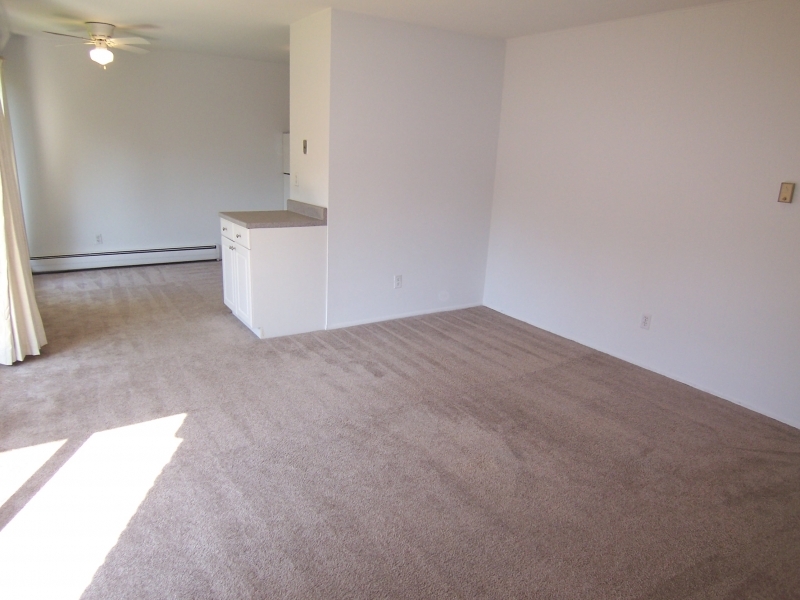 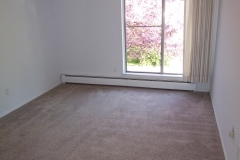 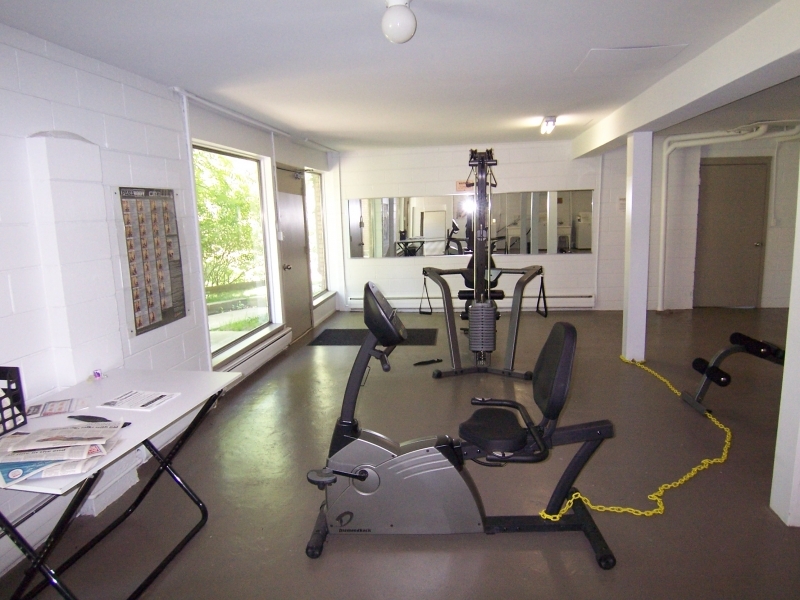 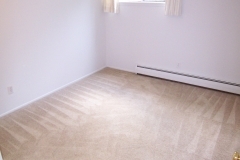 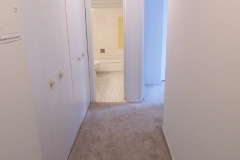 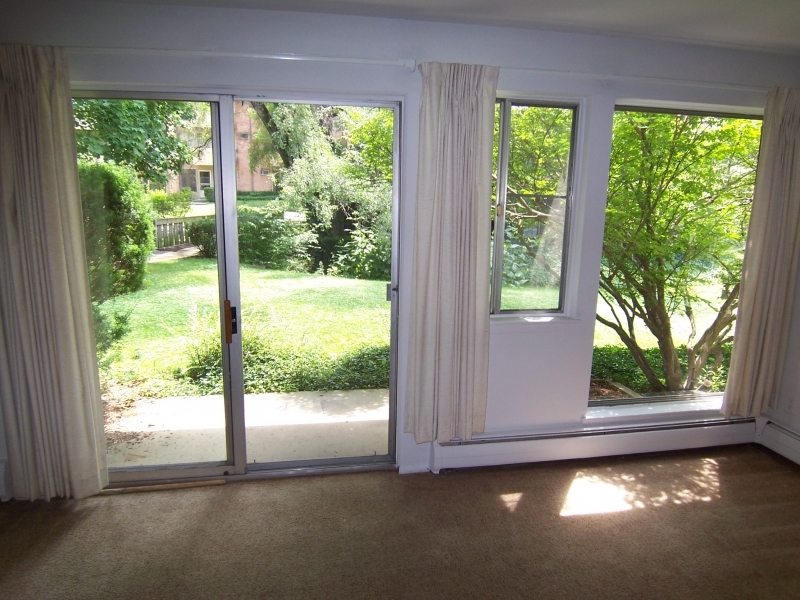 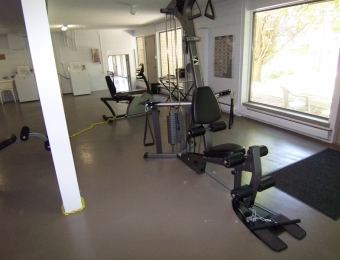 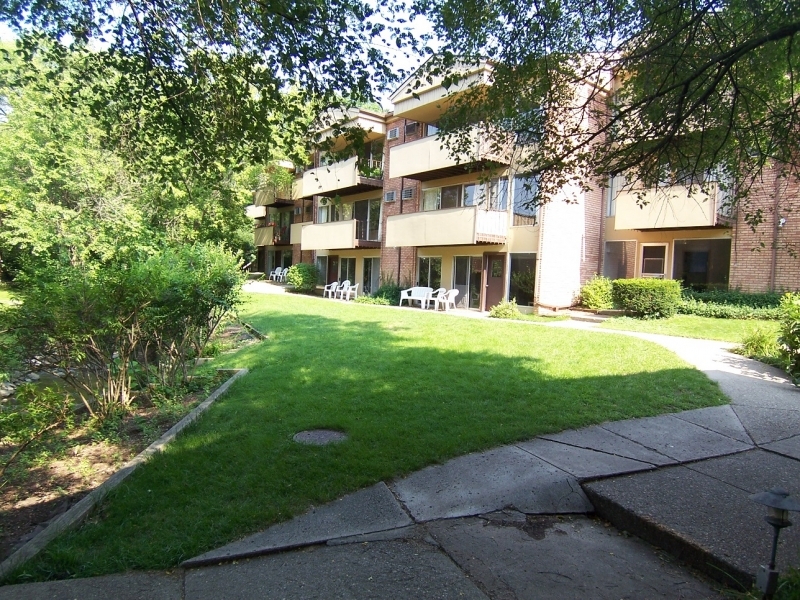 ft. All are on the ground floor and middle of buildings A, B, and D. Availability is extremely limited. 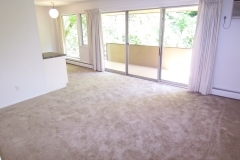 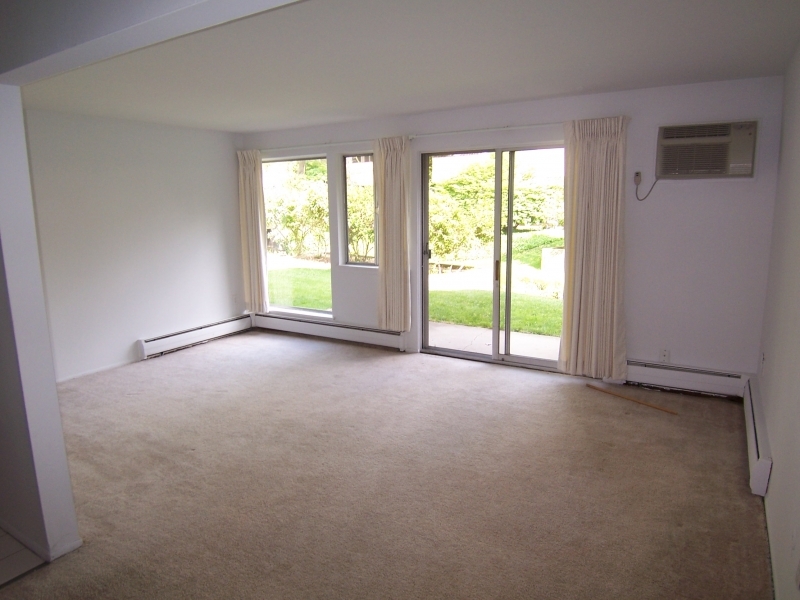 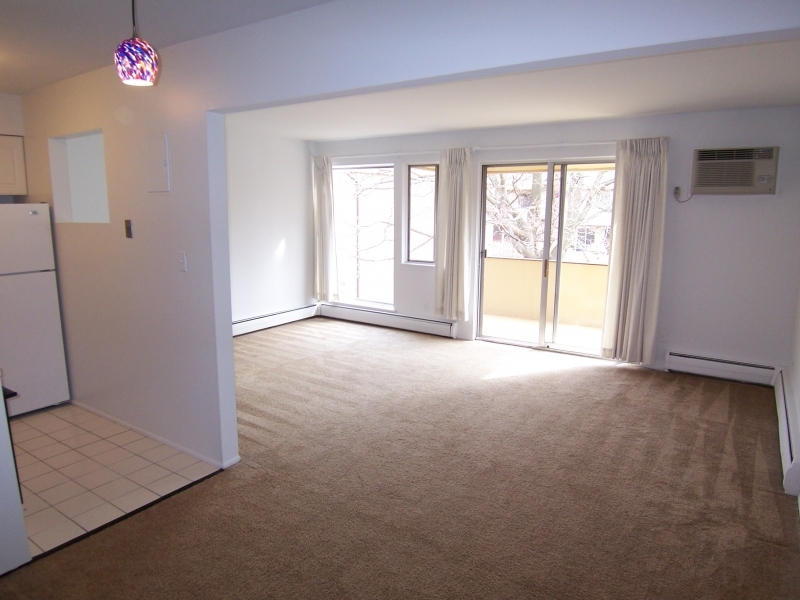 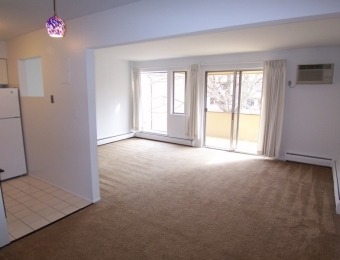 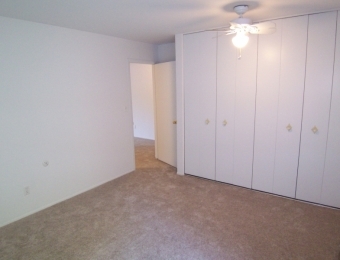 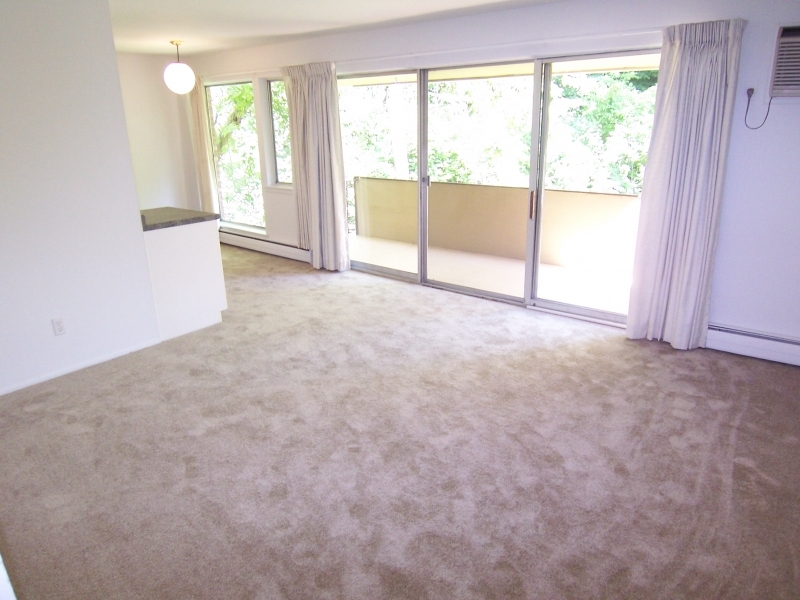 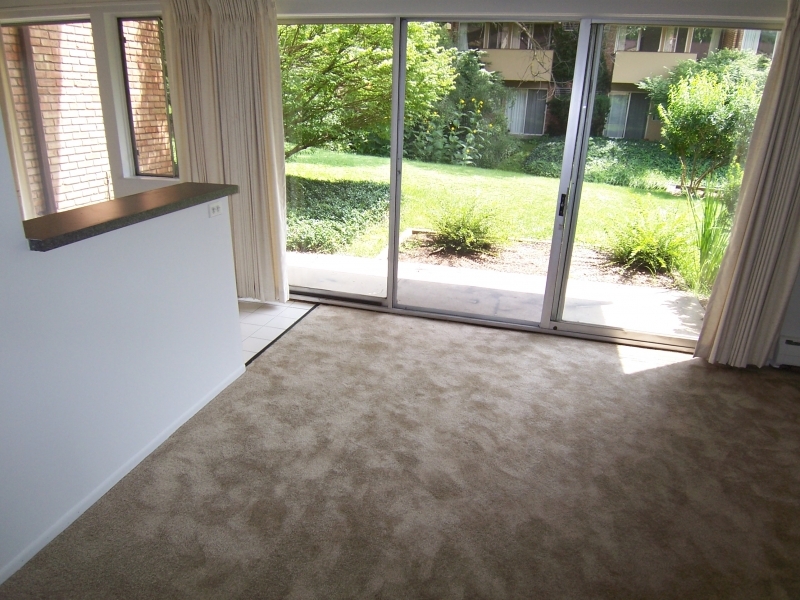 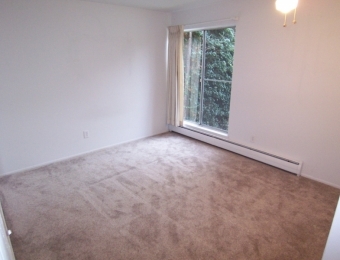 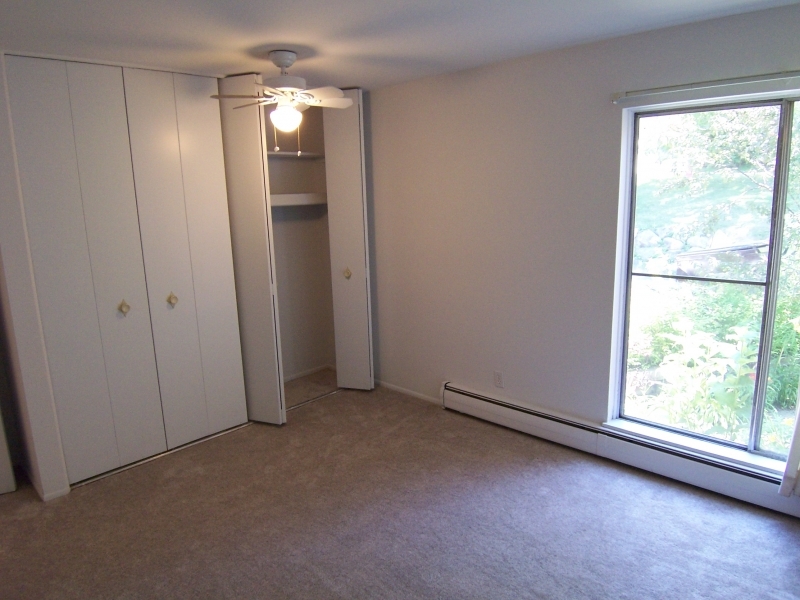 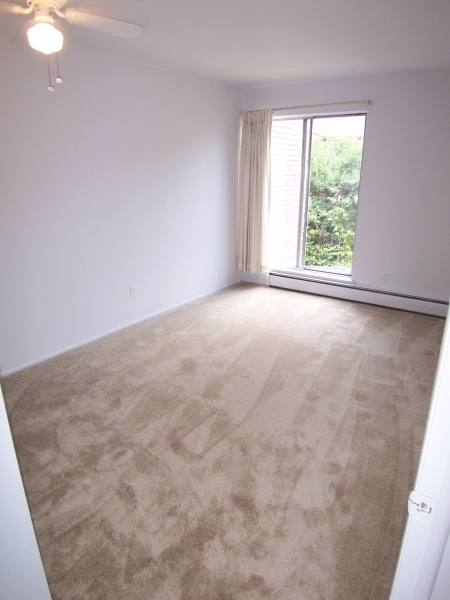 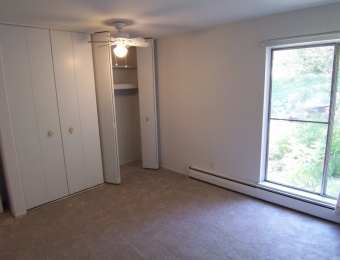 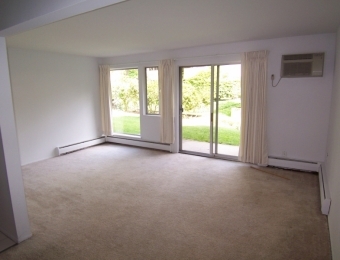 Layout is the same as a 2 bedroom, minus the bedrooms. 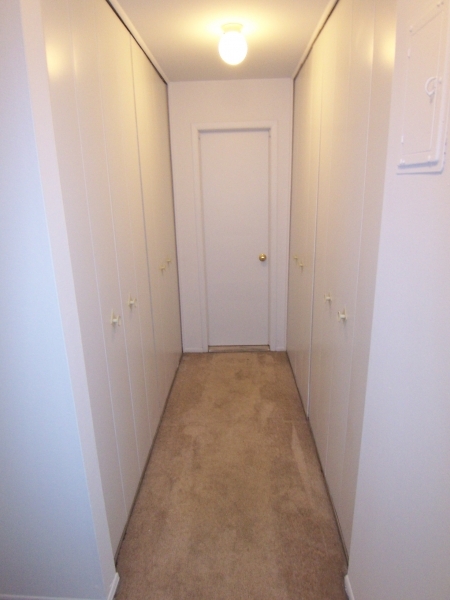 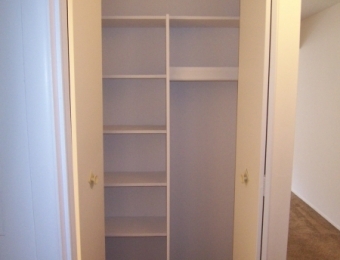 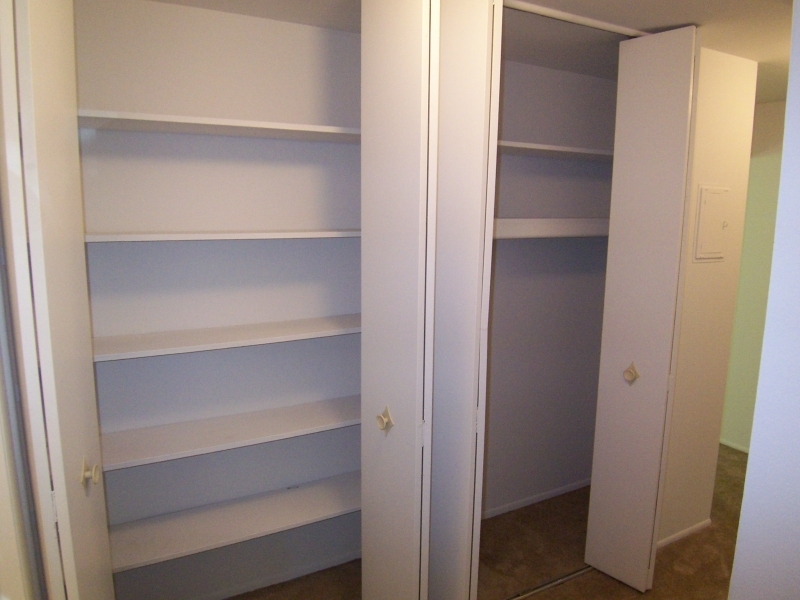 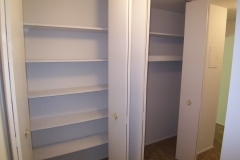 Closet space in hallway is doubled. 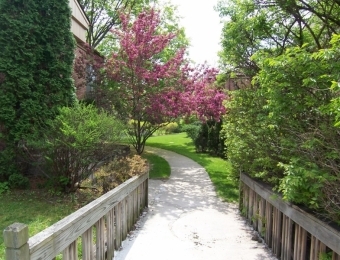 Our charm can be felt immediately upon entering the interior of our community. 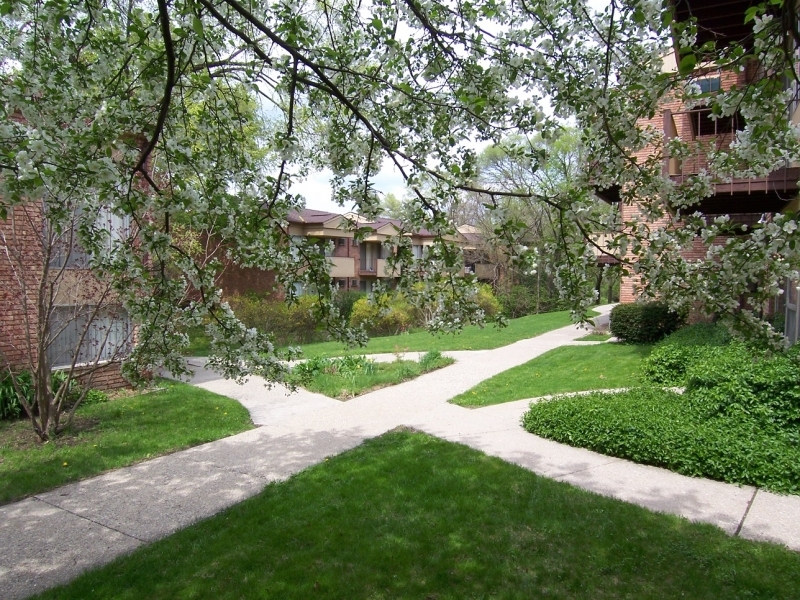 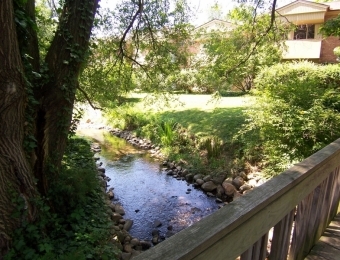 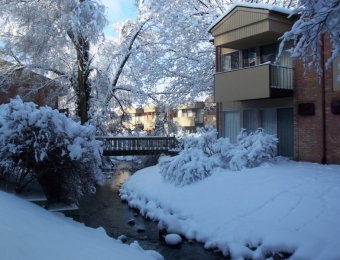 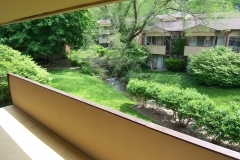 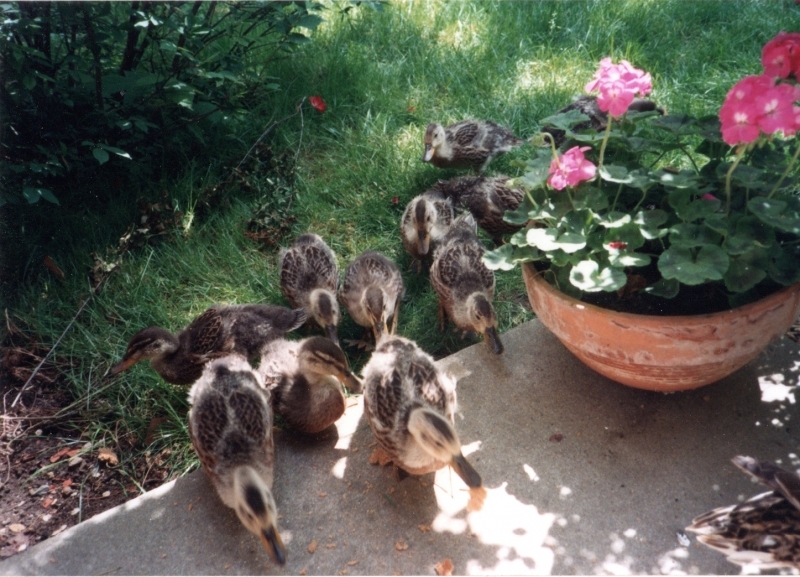 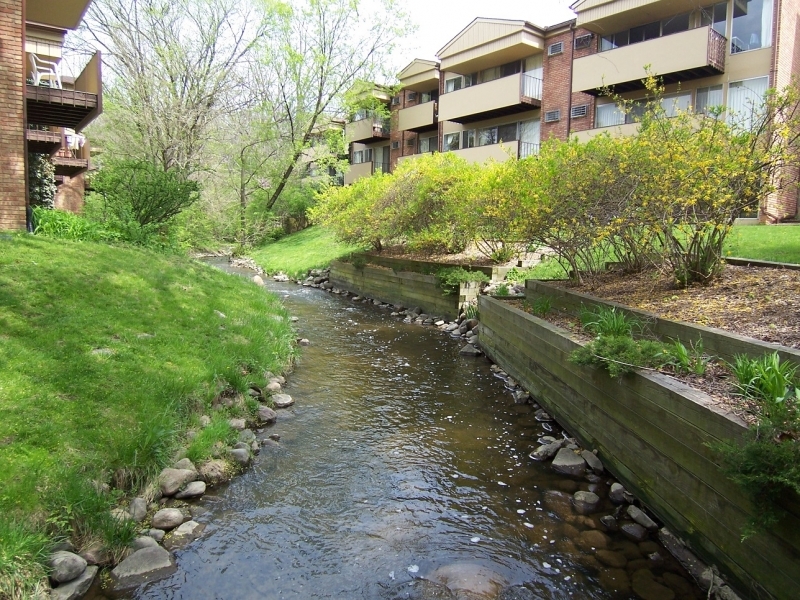 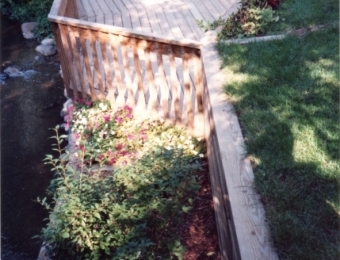 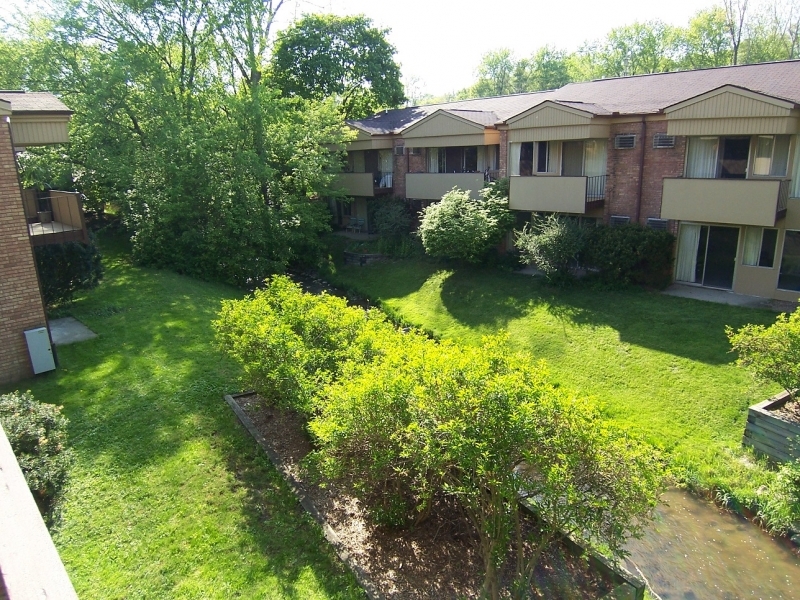 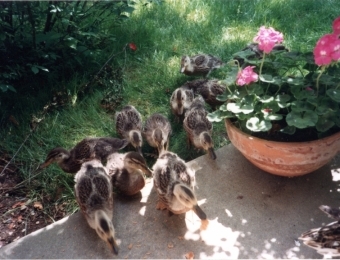 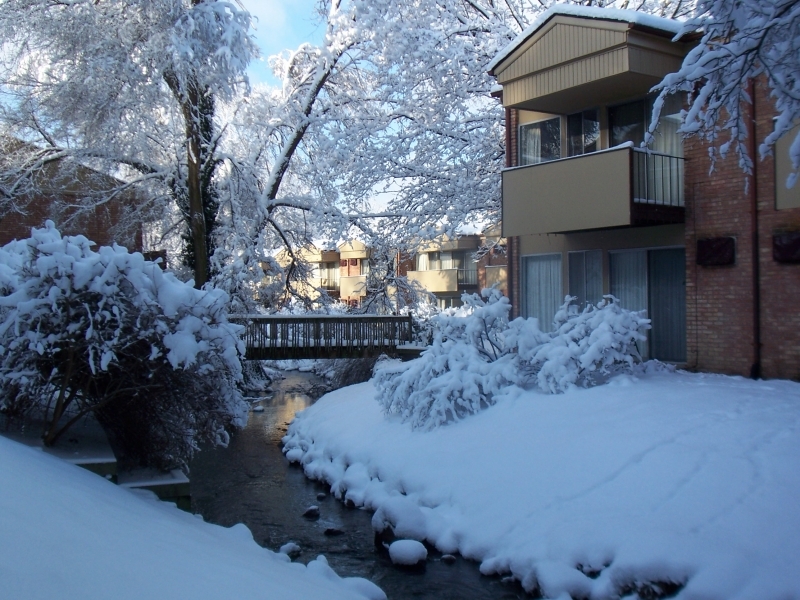 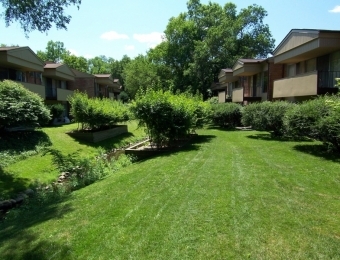 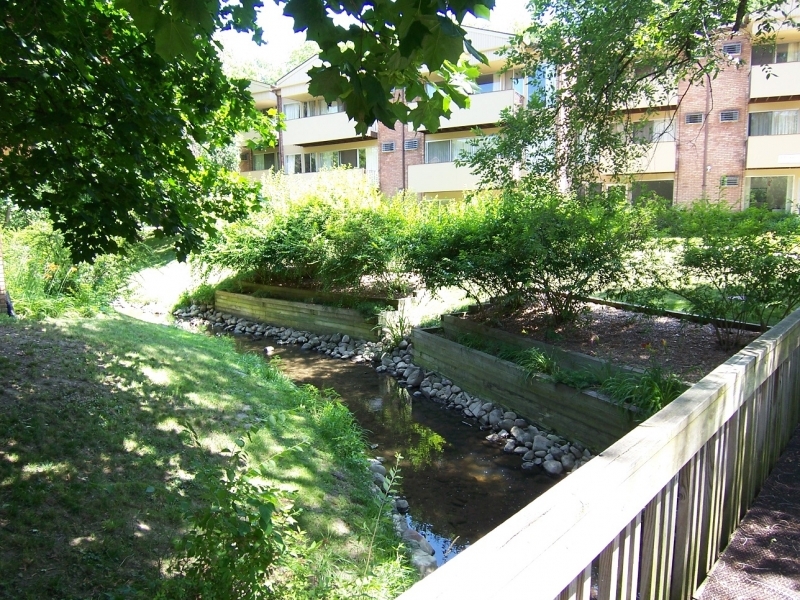 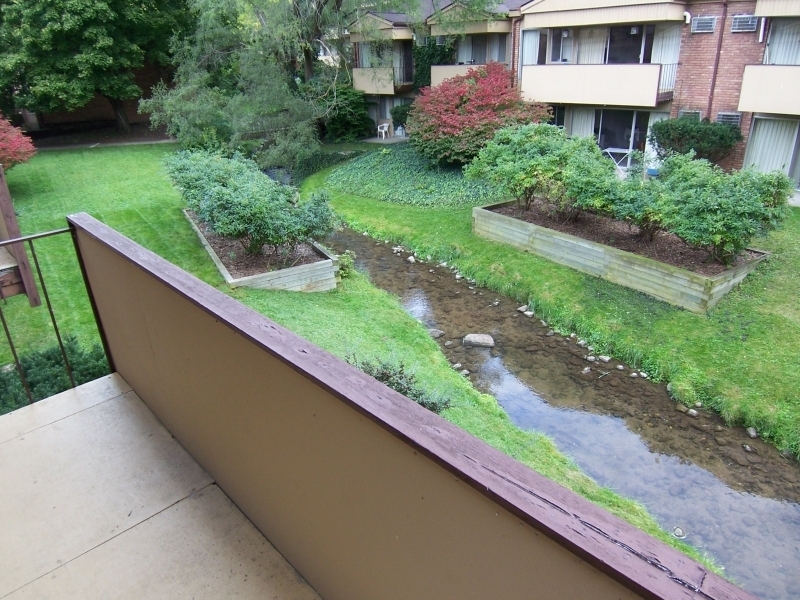 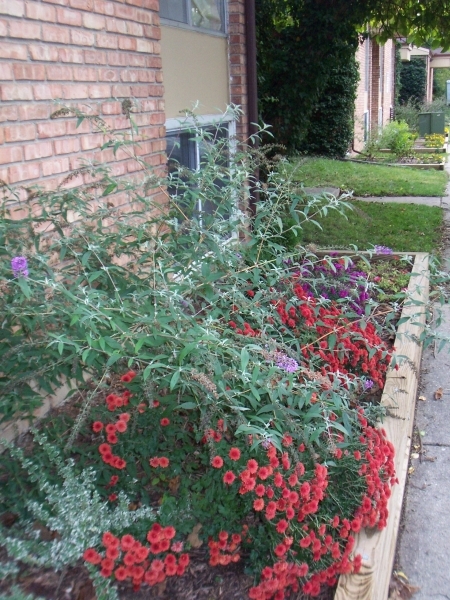 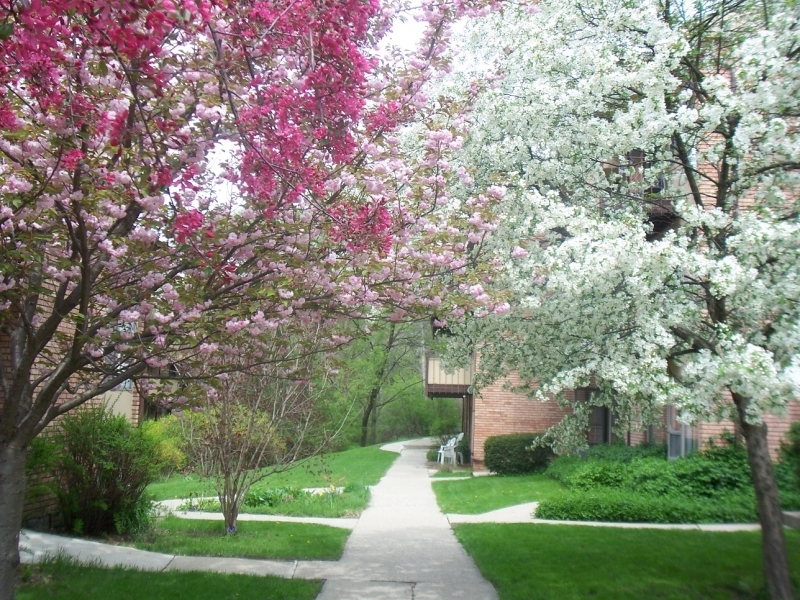 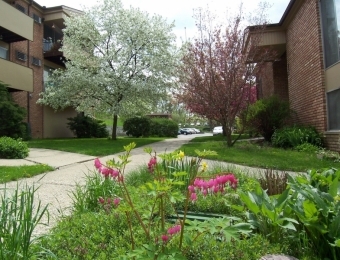 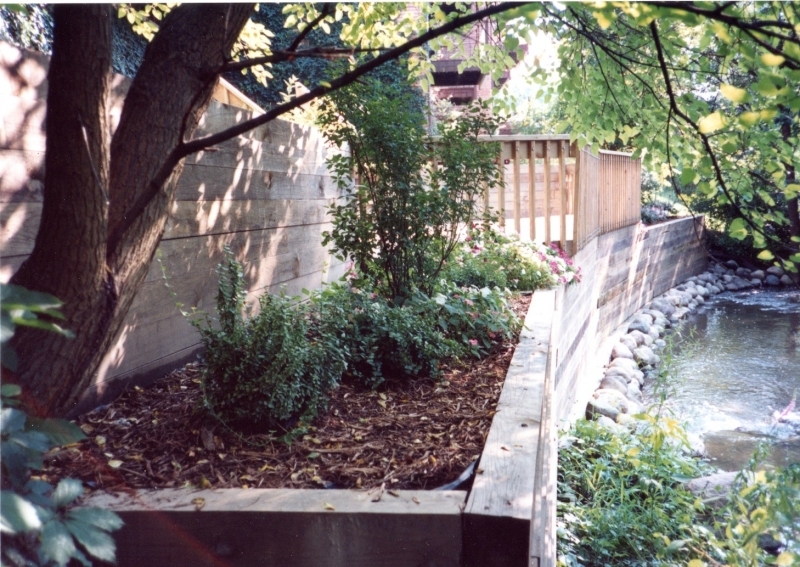 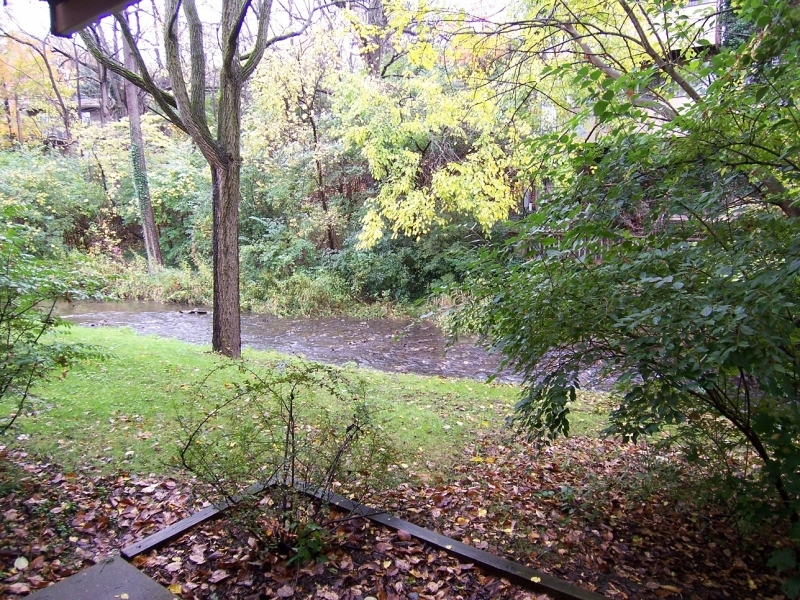 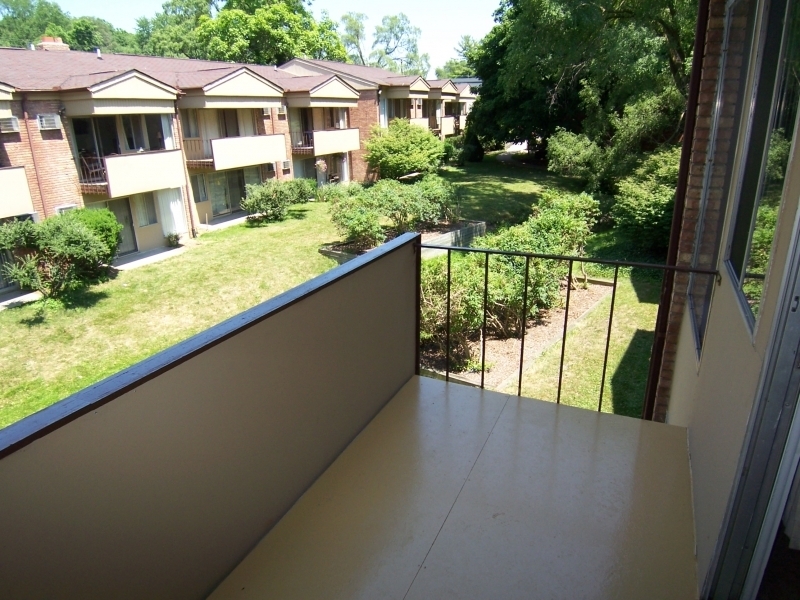 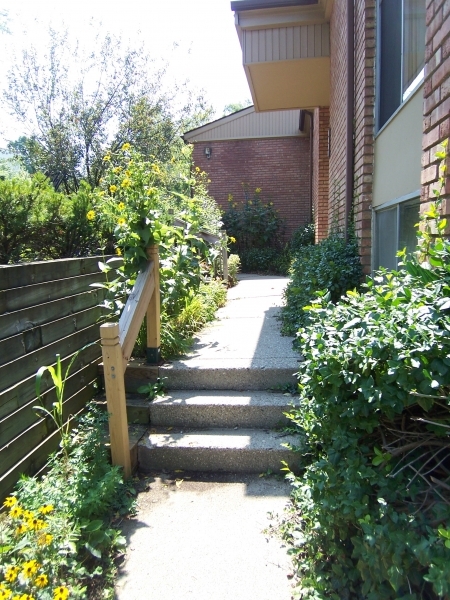 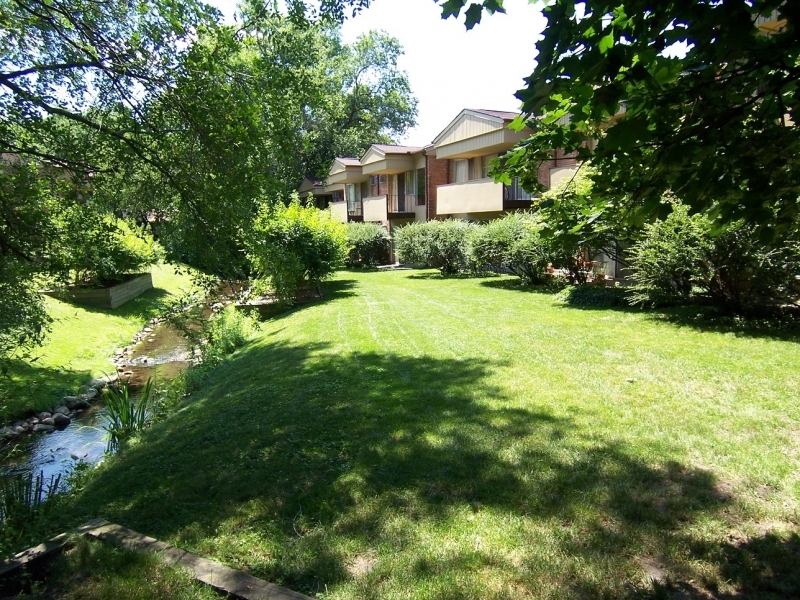 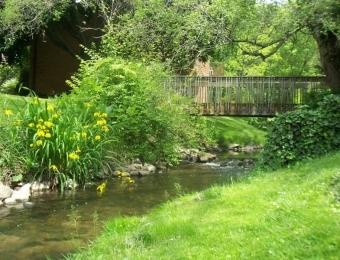 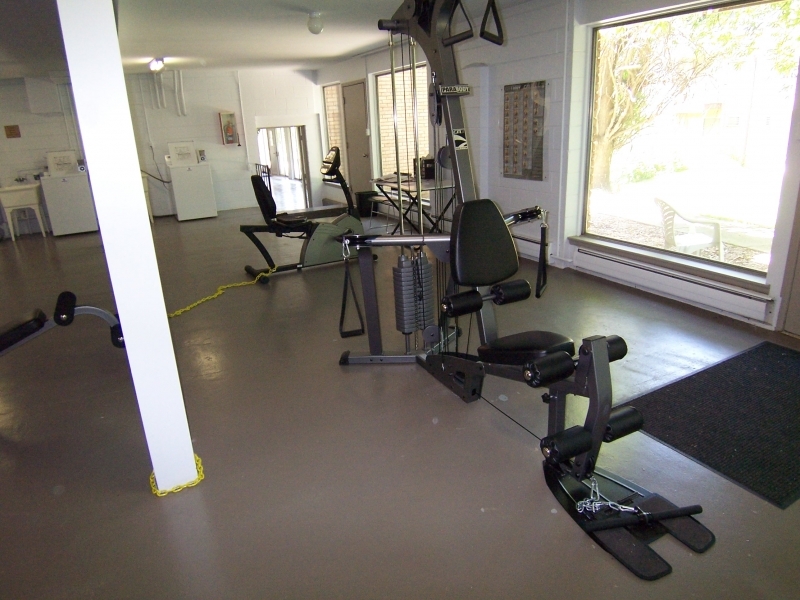 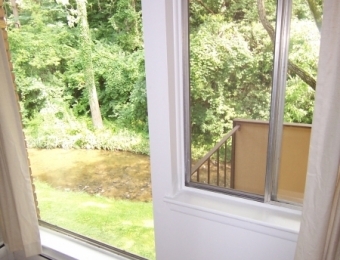 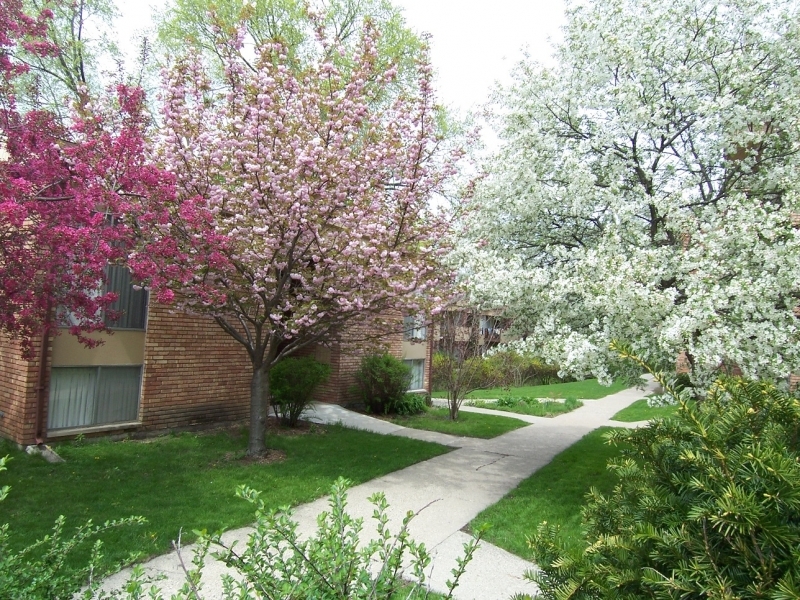 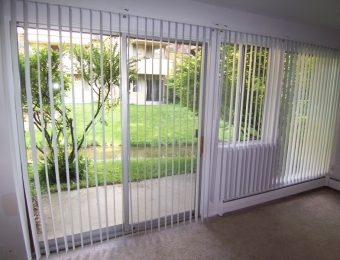 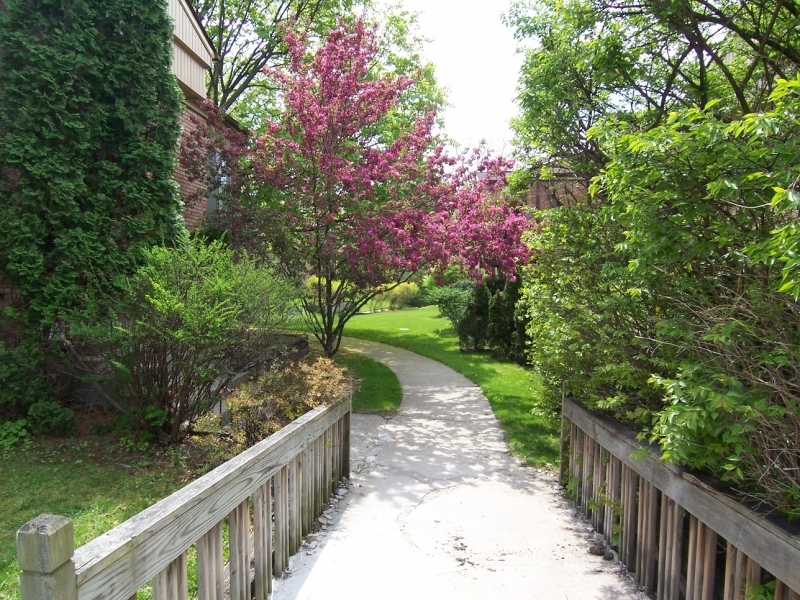 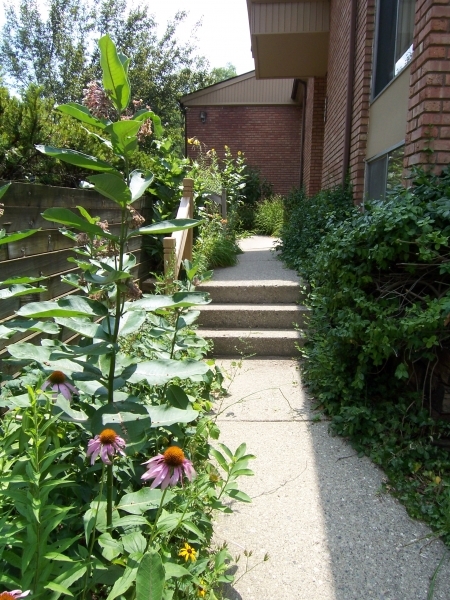 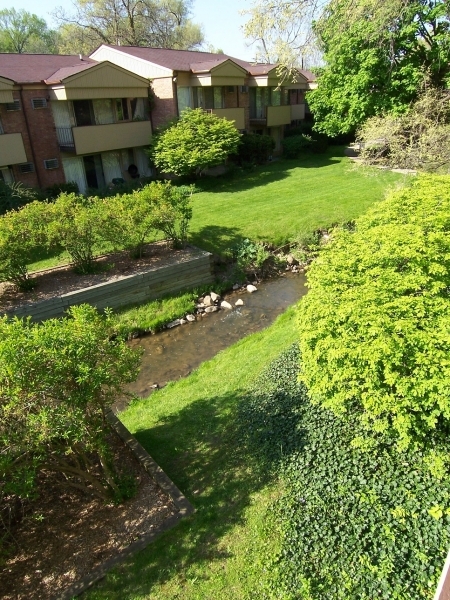 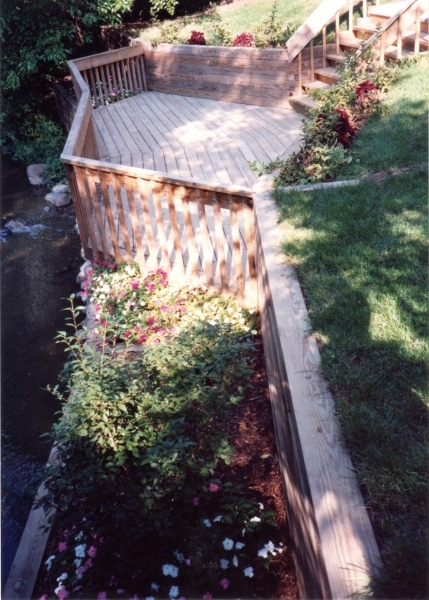 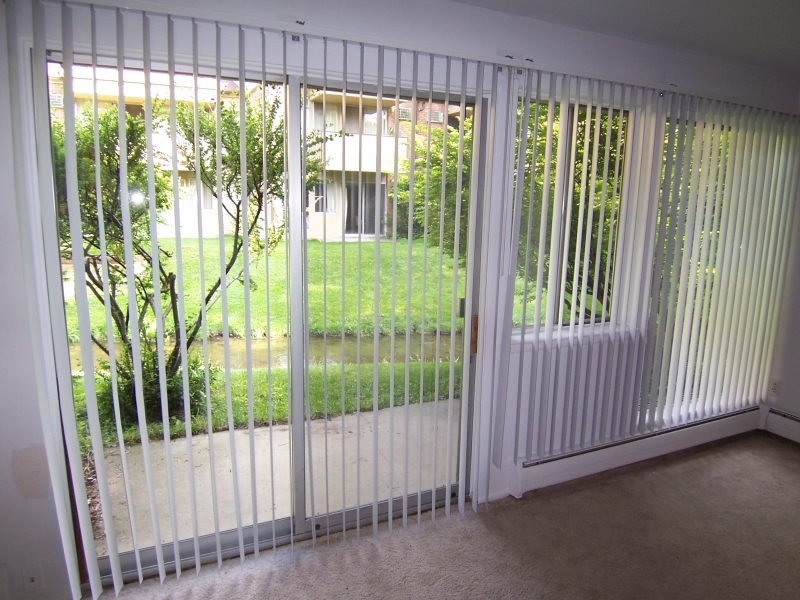 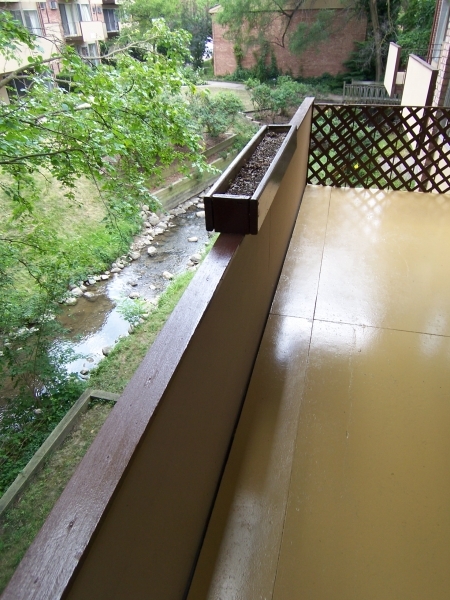 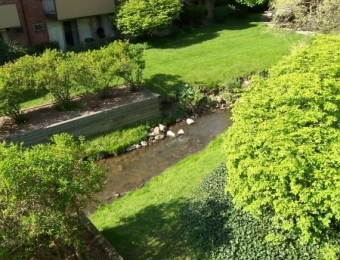 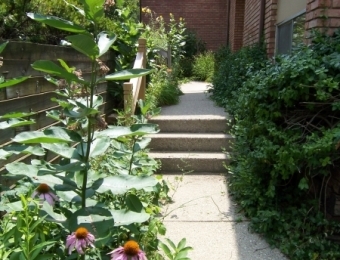 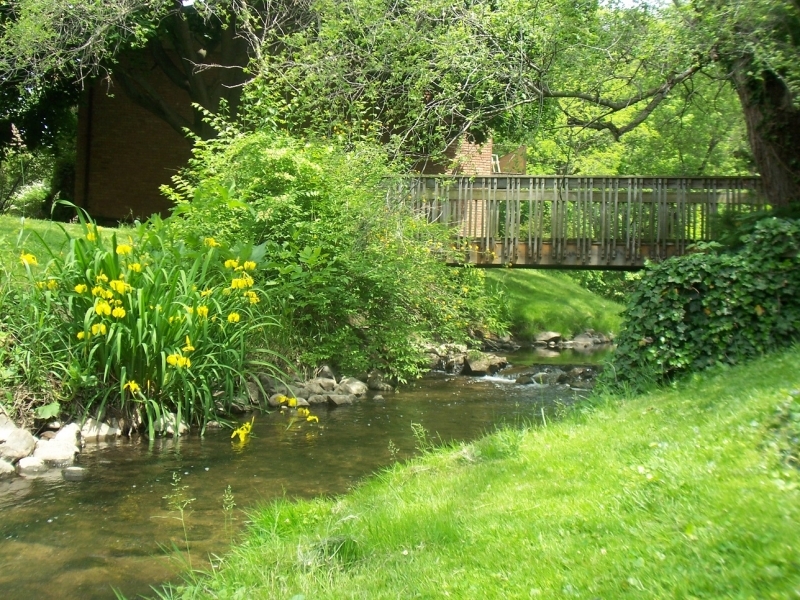 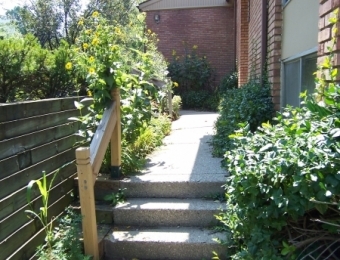 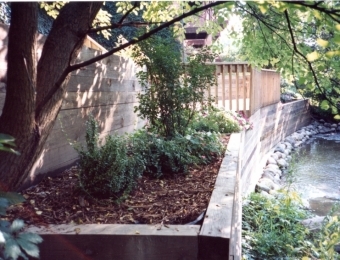 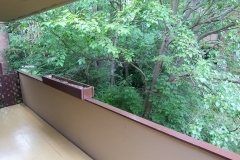 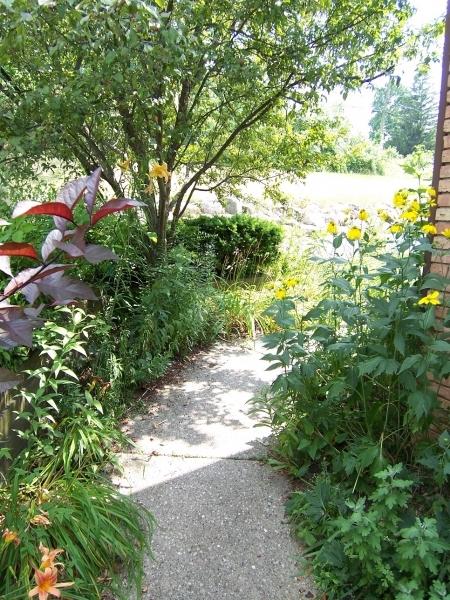 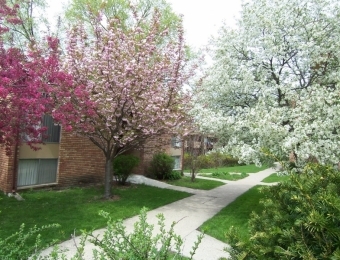 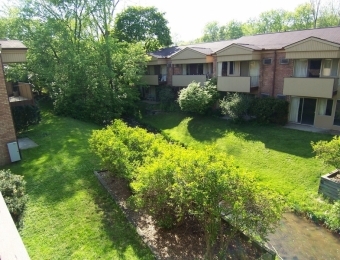 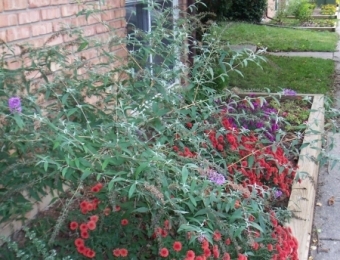 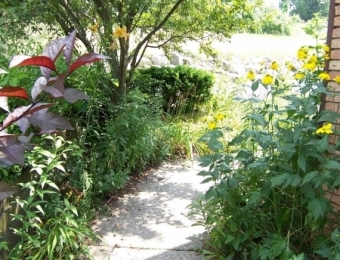 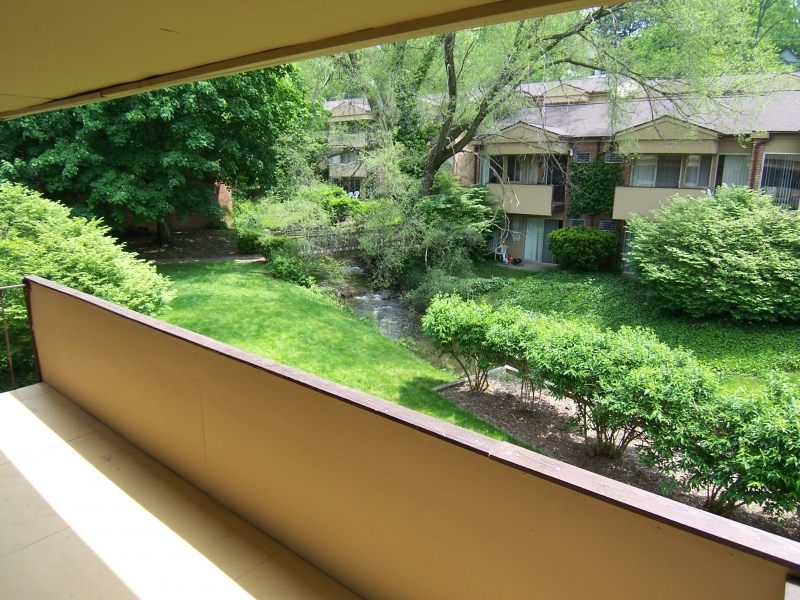 Brookside Apartments beauty and serenity are a result of all the right elements of nature in combination.